I first read about PNG Black Bass when I was a teenager in the 80’s. The article written by Rod Harrison in a fishing magazine described dense jungle, huge rivers, wild PNG tribes and incredibly tough fish. As a result of that article, these giant Lutjanids have been the No. 1 species on my bucket list for over 30 years and they certainly lived up to all my expectations and all the hype surrounding them. Broken rods, stripped drags, destroyed lures and straightened/mangled/snapped trebles were some of the carnage they inflicted upon us. They certainly are the toughest sport fish in the world. 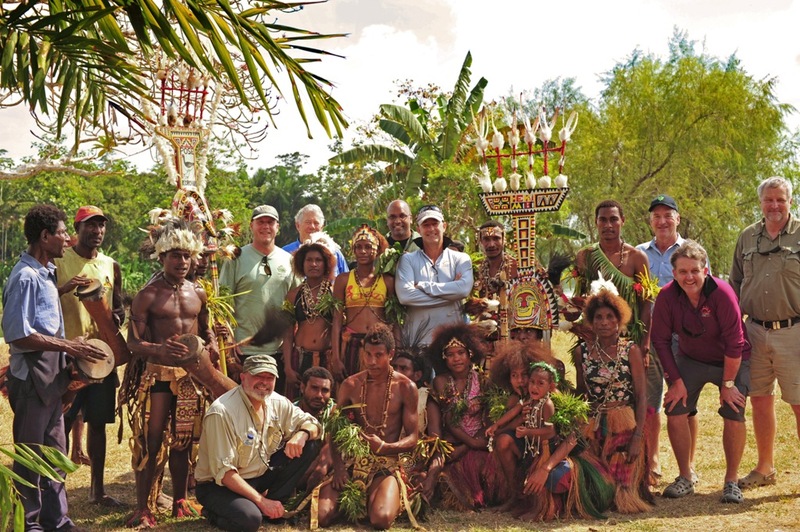 Seven fishing friends and I booked a tour with Sport Fishing PNG for one of their wild river packages. Ironically, PNG was experiencing a significant drought at the time, so the Sport Fishing PNG folk elected to take us to one of the bigger river systems available to them to ensure we had the best chance of tangling with the infamous black bass. We ended up at the Terapo Mission, approximately 250km north west of Port Moresby. This location gave us access to the Lakekamu and Tauri River systems, both of which are populated by black bass, barramundi, and numerous other species. In the lower reaches where they open out and meander across the coastal floodplain, the locals have dug a canal between the two rivers and subsequent wet seasons have opened it right out to be about 100m wide and 6-7m deep. As a result, we could launch from the mission and have our choice of two estuaries or two freshwater upstream sections to fish. Spoiled for choice, really! Importantly, both rivers receive very little fishing pressure with the locals only catching what they need in a true subsistence lifestyle and no sign of anything resembling pro-fishermen. The cultural impact of travelling to this part of the world blows your mind. It is truly like stepping back in time and seeing a window into another spectacular and amazingly beautiful world. The local villagers are all simply surviving in the wilderness with no first world issues like traffic, computers, deadlines or even money to worry them. Every one of them looked relaxed and totally in tune with their environment. When we were travelling to and from the fishing locations in our boats, the kids would line the banks and shout and wave to us with the biggest grins and happiest personalities of kids anywhere in the world. Even though there were saltwater crocs, sharks, and poisonous snakes throughout the rivers, the kids were born to the water and we would often see kids as young as six handling their small dugouts canoes around the waterways like seasoned professionals. It is only when you get close to the larger population centres that you see some of the troubles we hear about so often in PNG, with raskol gangs and ghetto areas prevalent. Out in the wilderness areas it is a different world altogether. So what about the fishing? In a nutshell, mind-blowing! There are not too many places in the world where you can go fishing and be disappointed to hook yet another 90cm barramundi. Similarly, there aren’t too many species of fish where you can pack a mountain of tackle and after two days of fishing start looking at your dwindling supplies and wonder if you have brought enough to last the week. The fish were brutal and a 10kg black bass would laugh at tackle with which you would easily fight and land a 20kg barramundi.